Fantastic movie. It reminded me of one of my first novels I read as a child, James and the Giant Peach. I am very fond of movies that take a side story, or a backdrop to the story and make those peripherals rife in fantasy. 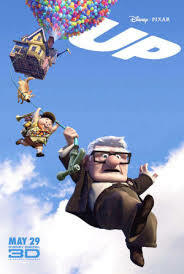 The rest of the aspects of the movie are very true to life, in this case a fatherless boy and a scard old man. This movie was funny but didn’t create a comic relief character that pulled the audience to far from the story for a cheap laugh. It was full of great life messages, a few tear-jerkers, and a glimmer of insipration here and there. The movie did an awesome job with “shorts”, where a life time of information was passed on to the viewer gracefully and memorably in very little time. I saw the 3D version and I think it gave a new dimension to movie (no pun intended). It’s not a game changer but it is much like not seeing 20/20 and then getting a pair of glasses. I may be crazy but I could have sworn something wasn’t quite right as a certain select few scenes made my eyes cross for a second. 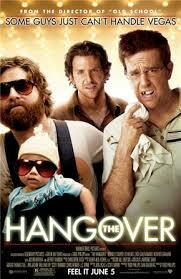 Yes this movie is funny, that’s its goal, no doubt about it. Unfortunately, I think I was a victim of over hype by my friends. In my opinion it’s your responsibility as a friend to decrease expectation and allow the person you are describing the movie to be pleasantly suprsed not unfortunatly disapointed. One of my firends described it well, ‘its almost like the whole movie was built up for the credits at the end’ – you’ll see what he means. So, my advice, see it for a good luagh but dont go in there expecting to much if you want to get the most out of it. — Or just watch it drunk. I had a bad feeling going into this movie that I was not going to like it. 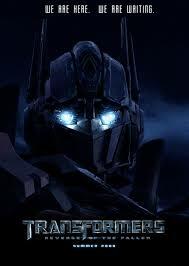 Being that I loved transformers as a kid I had to give it a shot in a theater with all the bells and whists since its a CGI, and action pact film. As I stated above I’m happy I went in withte attitude so I wasnt upset walking out but much of the story was forced, and fairly cheesy. It was 2 1/2 hours so it was fairly long, it didnt have to be as there was allot of superflous scenes inthe move that didnt give the viewer any benifit at seeing. It is a kids movie even though it isnt rated as such and I dont know if I’m just getting or bt the vulgarity in it was few and far between but intense and unessecary when it would peek its head. There was conserviatism undertones and I feel like Michael Bay must be a stonch republican they way somethings were laid out. BUT the action was cool and the fighting scenes got me at the edge of my seat. I hate to nit-pick but I found myself lost form time to time when the robots would battle one another. It was confising to see who was hitting who at times as the robots facad weresn’t clearly distinct from one another; a little more color would have helped.